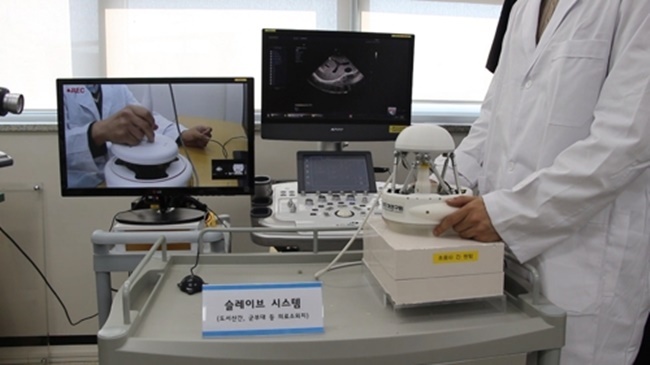 SEOUL, Nov. 27 (Korea Bizwire) – A group of South Korean scientists has developed a remote ultrasound diagnostic system that could allow doctors to diagnose patients from far away, a local institute said Monday. The team, led by Seo Joon-ho of the Korea Institute of Machinery and Materials, developed RADIUS, which allows a doctor to monitor ultrasonic images of various organs, such as the liver or thyroid, without the patient visiting a hospital. 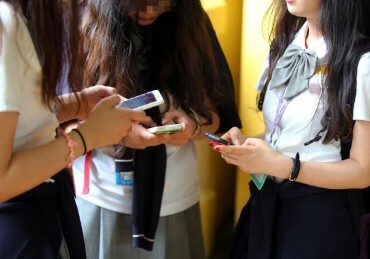 The institute said the development allows doctors to offer quality health care to the elderly and to those in hard-to-reach areas by connecting patients through the Internet. The robot, however, still needs up to three years to be commercialized, as the system currently does not have permission for clinical trials. “The team will make further research efforts so that the developed system can be applied in the field and patients can receive treatment more comfortably,” said Seo. The system, composed of two robots used by a doctor and a patient, weighs about 1.5 kilograms — much lighter than a previous systemdeveloped in France with similar capabilities and characteristics.